This is a great time for the Ruby-throated Hummingbirds here in Arkansas or at my house anyway. I haven't had the numbers the past few months I usually have but I have been having several arriving at my feeders the past few days. 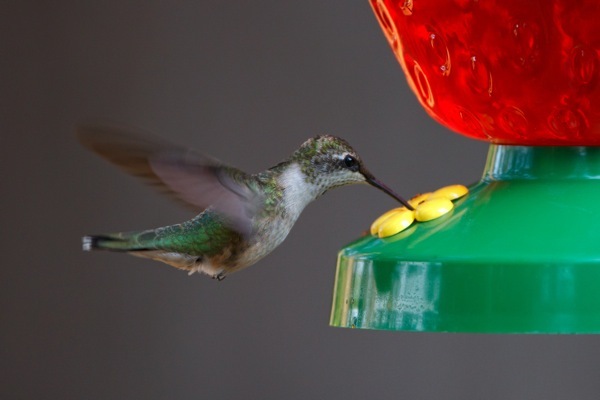 The Ruby-throated Hummingbird is the only hummingbird species to breed and nest in Arkansas. The Ruby-Throated Hummingbird usually arrives in Arkansas in March and heads south again in October. So how has the Hummingbirds been in your part of the world? Great pictures of the hummingbird, he's not here. We have too many Ruby-throated hummingbirds to count at our country property in Indiana. The youngsters are especially active at the feeders right now. It's a never ending fabulous aerial show! Wonderful photograph, Steve! equipment to the ends of the earth and back!